The Terasaki Center owes its name and success to the generosity of Dr. Paul I. Terasaki, UCLA alumni and world-renowned scientist. Dr. Paul Ichiro Terasaki, professor emeritus of surgery at the David Geffen School of Medicine at UCLA, was born in Los Angeles in 1929. After enduring three years at the Gila River Japanese-internment camp during World War II, Dr. Terasaki went on to earn three degrees at UCLA, including a Ph.D. and Masters in zoology. Dr. Terasaki began his work in transplant medicine in 1950. He identified HLA antibodies as a major cause of chronic organ rejection and, in 1964, pioneered a tissue typing test, which assessed the compatibility of organ donors and recipients. This test became the international standard for tissue typing and has been used for all solid organ donors and recipients for the past 50 years. Dr. Terasaki served as a UCLA professor of surgery starting in 1969, and founded and directed the UCLA Tissue Typing Laboratory until his retirement from UCLA in 1999. In 1984, he launched One Lambda, a company that played a central role in the development and advancement of tissue typing. After retiring from UCLA, he established the Terasaki Foundation Laboratory, a research center dedicated to cancer immunotherapy and the study of humoral immunity and transplantation. Dr. Terasaki and his wife Hisako have donated millions to UCLA, including toward the state-of-the-art Terasaki Life Sciences Building. They were also committed to preserving the history of Japanese Americans in the United States and have generously contributed to the Japanese American National Museum in Los Angeles, The Memorial to Japanese-American Patriotism in World War II in Washington D.C., and the establishment of the Paul I. and Hisako Terasaki Center for Japanese Studies at the UCLA International Institute. In 1998, Dr. Terasaki established the Nibei Foundation, which offers postdoctoral Japanese physicians an opportunity to meet and participate in research projects with Los Angeles-based Japanese/American physicians. Dr. Terasaki has received many awards, including the prestigious Medawar Prize by the International Transplant Society, which recognizes those whose contributions have had a profound influence on the field of organ transplantation, and the Order of the Sacred Treasure by the Emperor of Japan, for his philanthropic work to promote a greater understanding of U.S.-Japan relations. 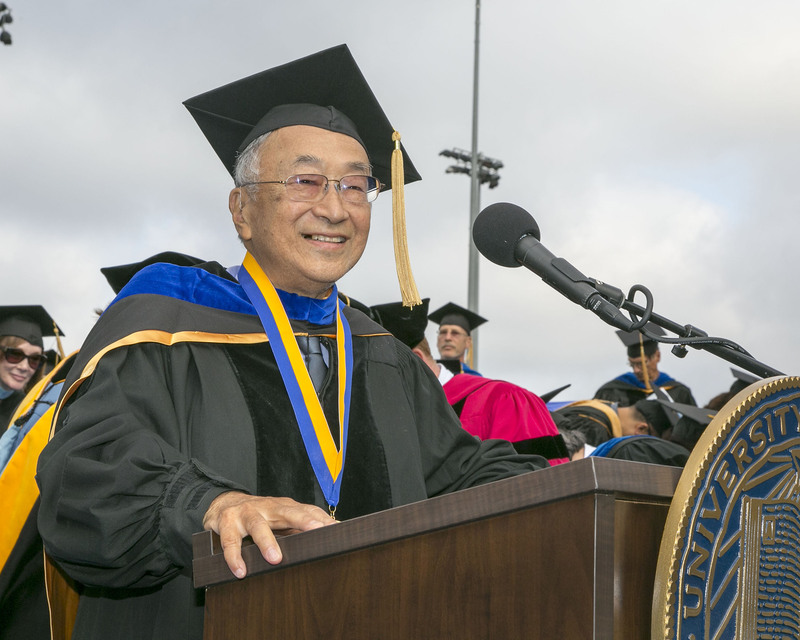 In 2012, Dr. Terasaki was awarded the UCLA Medal, the university’s highest honor. In 2005 the Center was renamed the Paul I. and Hisako Terasaki Center for Japanese Studies to commemorate a major endowment from the Paul I. And Hisako Terasaki Foundation. In 2015 they added an additional million to their endowment to the UCLA Terasaki Center, bringing their total contribution to $6 million. They also established the Nibei Foundation to encourage fellowship and partnership between Japanese and Japanese-American professors and doctors. Dr. Terasaki’s vision of greater relations between the U.S. and Japan, centered in scholarship at UCLA, is the foundation on which the Center aims to create the next generation of leaders in Japanese Studies.